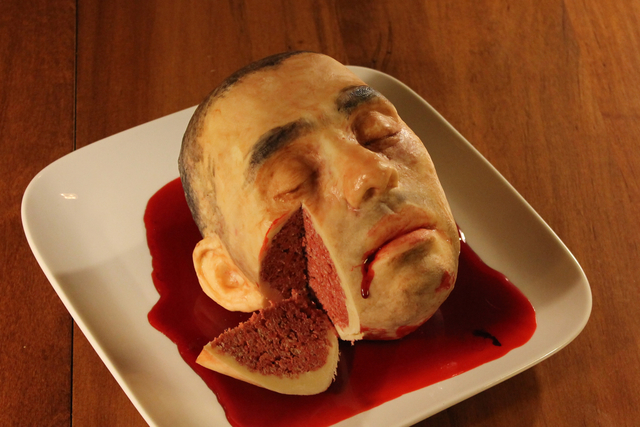 A New York woman has a gift for making the macabre look delicious. Or perhaps it's the other way around. Katherine Dey lives with her family in a log cabin in the woods of Nunda, New York, where she bakes cakes that look like insects, road kill and human body parts. But her cakes have to be seen to be believed. The 30-year-old artist graduated from the prestigious Rhode Island School of Design in 2009 with a degree in illustration. But it's likely her background in sculpting that turns her cakes into works of art. Her online portfolio shows that she's made cakes that look like everything from human brains, to "Sesame Street" characters, to a dead-on bust of her own father . Dey's Facebook page shows requests from fans for custom baking orders but Dey said in an email that she's in no rush to go full-time into baking. "I really enjoy doing it and I do think about starting a cake shop one day," Dey said. "Although, it is nice only making cakes I feel inspired to make and not having the added pressure of having to make a sale." Stunning desserts aren't Dey's only medium, however. She also does illustrations, sculptures, body art and dolls. You can see images of her work here . 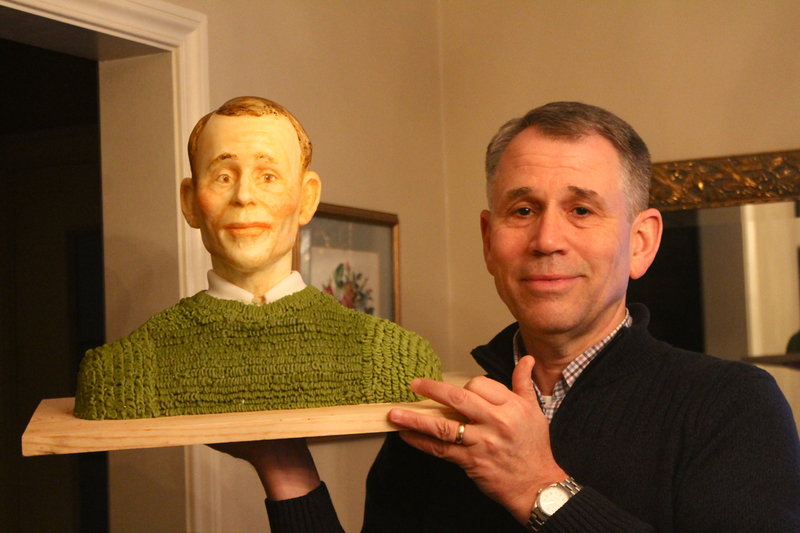 BELOW: Dey made this cake to look like her husband's head. She said it's a giant chocolate-covered Rice Krispies treat. 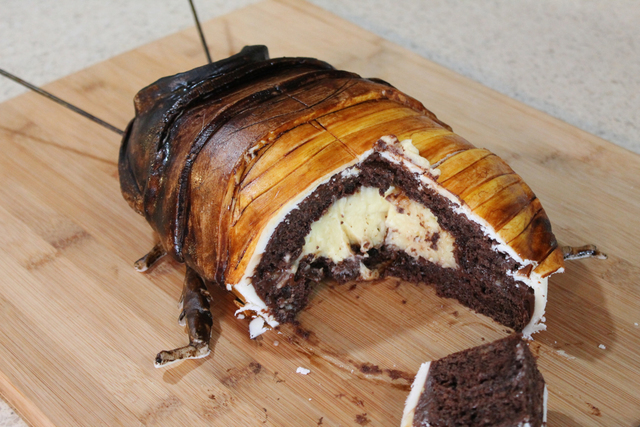 BELOW: Dey made this Boston cream-filled cake to look like a Madagascar hissing cockroach. Yummy! 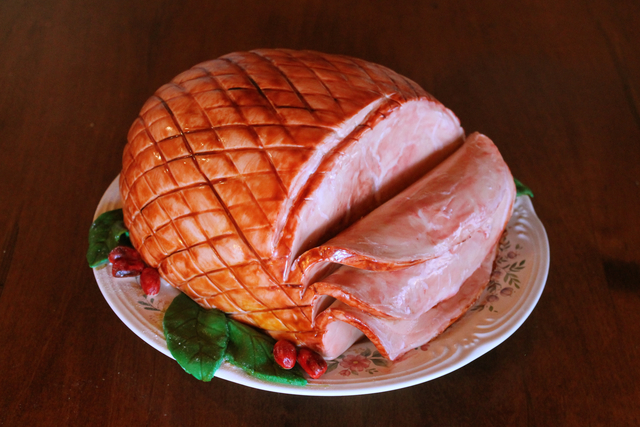 BELOW: It looks like a glazed ham but it's actually a cake, Dey promised. She said the sliced end is made of a thick piece of fondant icing that she sliced before painting to make it look like ham. 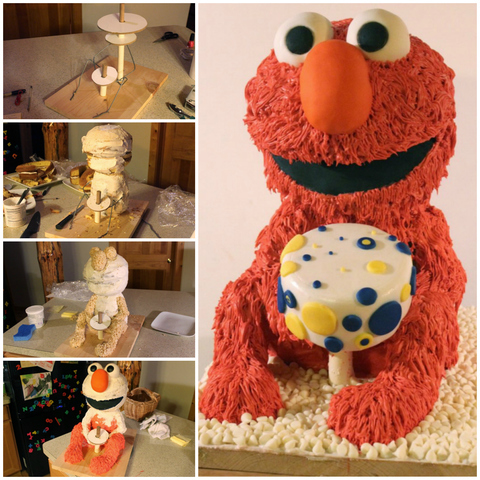 BELOW: This collage shows the steps Dey took to make an elaborate cake that looks like Elmo from "Sesame Street."